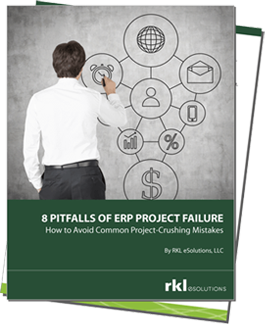 Are you caught in the situation of being forced to rely on traditional forecast-driven MRP or DRP methods? 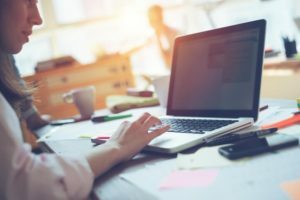 7 Things to Consider When Making Changes in Your Supply Chain? 1. We will create a system that senses demand and autonomously responds for delivering consistently high planned service levels. Sage Inventory Advisor (SIA) offers an autonomous response to changing conditions; however, its autonomous responses are limited to traditional, forecast-driven methods. 2. We will reduce our average end-to-end supply chain inventories by up to 50 percent without sacrificing customer service levels. SIA, in a conscientiously applied program of management, offers some hope of reducing inventories without sacrificing service levels, but not nearly as much as 50 percent in a typical situation. The demand-driven approach, however, has proven itself capable of achieving overall inventory reductions in the 40 to 50 percent range fairly consistently while maintaining, or even improving, customer service levels. 3. We will have stable, efficient, and uninterrupted production cycles. This is virtually impossible to achieve in most supply chains where forecasts are used to drive planning and execution. Only a wholesale conversion to demand-driven methods and processes can lead to this result except in very rare exceptions. 4. We will not allow ourselves to be put under pressure to be impossibly flexible, yet we will still deliver nearly matchless service levels and overall equipment effectiveness (OEE). 5. We will place orders with our suppliers that are stable, and very rarely need to be changed or expedited. 6. We will not remain enmeshed in constant firefighting and expediting; instead, we will focus our efforts on continuous improvement, exception management, and value-added planning. 7. We will not place demands on others for forecast accuracy that is unachievable, but our management is crying out for help to improve forecast accuracy. Afraid to Make Such Bold Resolutions? I would be too if I were caught in the situation where I was forced to rely on traditional forecast-driven MRP or DRP methods. There is, however, a process that is proven to deliver on all of these resolutions when the methods are conscientiously applied. It’s called Demand-Driven Supply Chain Management (DDSCM) and is articulate well in Simon Eagle’s recently-released Demand-Driven Supply Chain Management: Transformational Performance Improvement. 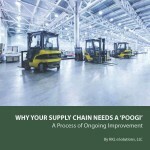 If you want to understand more about POOGI (process of ongoing improvement) download our whitepaper Why Your Supply Chain Needs a 'POOGI'. Click below to grab your complimentary copy of the whitepaper!